You see we watched them all together and we made a pact not to go ahead of each other :3 Well as I am sure you know I couldn't control myself and went ahead of her to find out who A was. 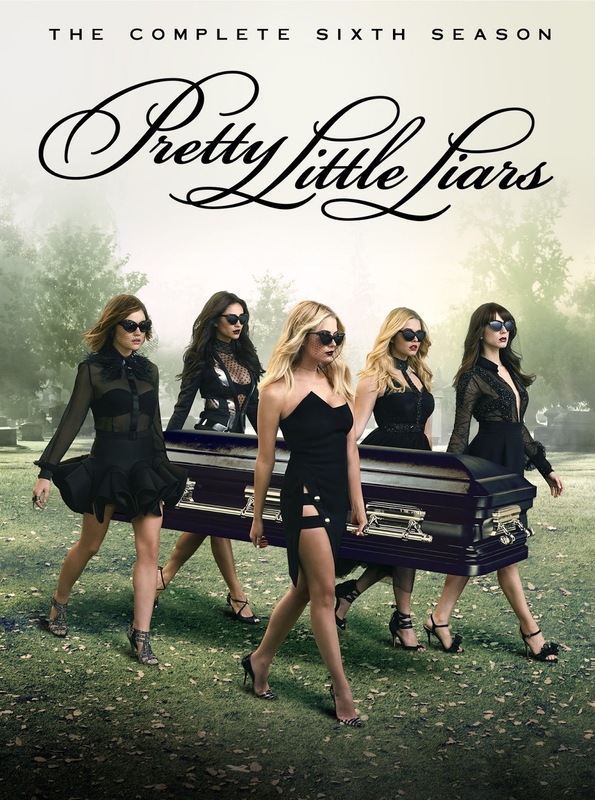 As the sixth season begins moments after the season five finale, Aria, Emily, Hanna, Spencer and Mona are trapped outside the “dollhouse” where their tormentor, Charles, has been keeping them — with nowhere to run. Angered by their attempted escape, Charles' games take a more demented and darker turn. 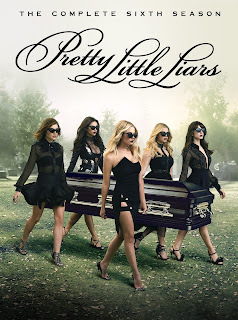 As the girls struggle to survive, Ezra, Caleb and Toby (recurring guest star Keegan Allen) continue the fight to find the girls with or without Rosewood Police Department’s help. Charles’ story begins to come together, with the Liars eventually solving the puzzle and unmasking Charles, finally putting an end to the “A” game. The second half of the season jumps five years forward, with new secrets, new lies and a whole new look. I think it is safe to say our Liars are never truly out of the game! This DVD is so worth buying even if you watched on tv because of all the special features. And you to can Own it on DVD & Digital HD April 19!